As a travel destination, Portugal has a lot going for it, blessed with great weather, beautiful architecture, and relatively low prices. While public Wi-fi is available, it’s not especially widespread. Picking up a local SIM card is reasonably inexpensive and extremely straightforward, however, if you want to stay connected. Note: Portugal is part of the European Union, which introduced new roaming regulations in June 2017. These “roam like at home” rules effectively ended roaming charges across much of Europe, meaning you’ll usually pay no more for calls, texts, and data in other EU countries than you would in the country of purchase. Got travel insurance for your Portugal trip yet? A good policy can cover you for all kinds of sticky situations, from medical emergencies to canceled flights, theft, lost luggage, and more. We've been using World Nomads for over a decade. There are three cell networks in Portugal, operated by MEO, Vodafone and NOS. The best coverage is with MEO, closely followed by Vodafone. NOS has the smallest network. All three networks offer LTE to prepaid customers on the 800, 1800, and 2600 bands, as well as 3G/HSPA+ on the standard 2100 band used throughout Europe. Purchasing was incredibly simple — in fact, it’s possibly the easiest SIM card purchase I’ve ever made. Flying into Porto airport, there was a small Vodafone store in the arrivals hall. The woman behind the counter spoke excellent English, and offered various options depending on whether I only wanted data, or needed calls and texts as well. Within about two minutes, I had purchased a micro SIM card, installed it in my phone and had a working connection. There was no need to show my passport or other identification. Lisbon airport also has a Vodafone kiosk in the arrivals area. Stores are also readily available in the downtown areas of Lisbon, Porto, and other major centres. Prefer to spend your vacation sightseeing instead of buying SIM cards? Grab one in advance to stay connected in Portugal and across Europe. If you want calls, texts and data, a package with 500 SMS or national call minutes, plus 1GB* of data, costs €13.99 on the ‘Up’ package. Need more data? €17.49 gets you 3GB* instead. If you only need data, and will be in the country for a couple of weeks or less, the best deal is a ‘Go’ data-only SIM. With that, you get 15GB of data, lasting 15 days, for €15. If you’re there for longer, you can top up to get another 30GB of data, valid for a certain period. Need another five days? It’s €10. Want 15 days extra? It’s €15, and so on. Check the latest packages and pricing here (Portuguese). *An important note: Vodafone Portugal aggressively rounds up per-session data usage to the nearest MB. Over time, this makes a big difference. I received an SMS saying my “1GB” of data had run out when my phone told me I’d only used 613MB! You can buy top-ups at any Vodafone store, and you’ll find one or more of them in all major towns and cities. Payshop locations, of which there are approximately 4000 in Portugal, can also help you out. I was impressed with Vodafone’s network anywhere I tried it. The download speed was similar to that shown below no matter where I tested it, and I rarely had less than full signal outside. Inside stone buildings, the data network would occasionally drop to EDGE, but I always had service of some sort. If you’re after data only and know you consume a lot, better go for the Meo SIM. They offer 15GB/7 days, supposed to be 25EUR! I found the package when looking for Portugal data packages, but I didn’t try it on site, as our location was supposed to have WIFI (what a joke :(), so I left my MIFI at home. That looks like a good deal if you’re not in the country for long and use a lot of data, or if you’ll be sharing it with other people via a hotspot/Mifi. As I discovered when I had to top up near the end of my three weeks in the country, Vodafone also has a 7 day/4GB offer for €12.50, for short-term visitors with more moderate data needs that don’t want to spend quite as much — but since it’s subject to the same aggressive rounding-up as the other plans, you won’t get the full 4GB out of it. On the other hand, I was very surprised to see that data kept working for a few days when I went to Spain — so that’ll be a bonus for some travellers. can I buy a sim card at the airport? If not where? Without knowing which airport you’re flying into, I can’t answer your question with certainty. As mentioned, I picked mine up at Porto airport on arrival. If there isn’t a kiosk at the airport you arrive at, use the store locator I linked to in the post to find your nearest Vodafone store. I’m flying into Lisbon Airport for a week in Lisbon. I’ll come in on a Saturday, and leave the Sunday of the following week, 9 days. I expect I will use more data than voice/text, as it is primarily for looking stuff up on the go, GPS, email and booking/checking in for reservations. What’s the best deal for me, and can I get it at Lisbon Airport or is it better outside the airport? I have a Motorola Droid Razor M I will be using for this. Just to let you know. There is now a company in Portugal that rents Wifi hotspots, and sells prepaid data SIM cards, specifically to tourists and non-Portuguese residents, that don’t require any contract. They deliver to the hostel or it can be picked-up at the airport. The pricing for short trips (8 days or less) seems reasonably competitive with buying the card yourself, so it could be a good option for those on a shortish vacation. Even though buying a local SIM at the airport was super simple, picking it up from your hotel in Portugal is even easier, so that’s a nice touch. The company doesn’t say which carrier(s) it uses, though — as long as it’s one of the main ones and/or you’re going to a city or other popular destination, you should be fine, but it’d be worth asking about that if you were going to use this company and your trip takes you elsewhere in the country. Do you know if I can find a Vodafone store in Lisbon airport to buy a sim card or MEO ? I don’t know, I’m afraid — I haven’t flown in there. I know its a bit late but yes, the airport in Lisbon has a Vodafone store. I was there in 2012 and bought 2 sim cards from the Vodafone store in the airport. Funny, I flew into Lisbon last night, saw the Vodafone store in arrivals (Terminal 1) and remembered this comment — and then Jose had replied while I was in the air! Just to confirm, yes, there’s still a Vodafone store there, as of May 2016. I am flying into OPO and will be spending 18 days in Europe, 5 of which will be spent in Portugal. Will a Vodafone SIM purchased in Portugal still work for the same rates in the other countries I will be visiting (Germany, Czech Republic, Denmark)? I don’t need much, just would like to be able to access a map with my data and make a few in-country phone calls. Thanks! You won’t get quite the same prices in those countries, but this page suggests you’ll only pay an extra 3 euros/day to roam in Germany and Czech Republic — after that, you’re on the same rates as you would be in Portugal. Denmark isn’t listed on that page, and it’s much more expensive as a result — 6c/min for incoming calls, 23c/min for outgoing, 7c/min for outgoing SMS and a painful 25c/MB for data. Those are euro cents by the way, not US cents. Thanks for this – this is great. I’ll be spending about 6 weeks in Porto and Minho region in March/April 2016 and am looking at SIM options. It’s good to know Vodaphone have a store at the airport and are helpful. I’m sure they have deals going on all the time, so I will check what’s the best option for me when I get there; for phone, text and internet. That’s the best article I could find, this is brilliant, first search, first hit! We are going to Portugal for 5 days and need data, and we land in Porto. It’s great to have it all prepared already! We will travel to Lisbon then to Porto in May and will purchase a SIM card for our unlocked Motorola MOTO G phone. The SIM card needs to be cut to fit into the SIM slot on the phone. We were able to find a place that cut the card when we were in Copenhagen, Denmark last year. Will it be easy to find a place to cut the SIM card to fit in Lisbon, Cascais, Estoril area? You may not need to get the SIM card cut down. I believe all models of the Moto G so far have used micro SIMs, which is the same as what I was using at the time I wrote this article. The Vodafone salesperson at Porto airport asked which type I needed, and provided the correct one without needing to cut it down. I’d be very surprised if other official Vodafone stores didn’t offer the same thing, and probably any other store that sells Vodafone SIMs as well. I can’t speak for other SIM companies, though. My wife and I are traveling to Portugal for about 10 days, Spain for 3 days, Italy for 13 days and France for 14 days. We plan on using SIM cards for our iPhones. I was wondering; can we use SIM cards from one country in another country or do we have to buy new SIM cards for each country? Some prepaid SIM cards let you roam internationally with them. Usually it’s not cost-effective to do so, but some of the providers in the EU do offer cheap (1 or 2 euros/day) roaming to other EU countries. Given you how long you’ll be in Portugal, Italy and France, it probably makes sense to buy local cards there anyway, but if you can roam in Spain, you should. If you’re going from Portugal to Spain, you may find you can roam with a prepaid Vodafone Portugal SIM. That’s what I did — I didn’t expect it to work, but it kept going for a few days after I arrived in Madrid. I think it was burning through the data allowance I already had, with some kind of surcharge compared to if I’d have been using it in Portugal, but either way, it was a welcome surprise! Don’t rely on this without checking, though — my experience was around a year ago, and anything can change. Ask the person at the Vodafone store/counter specifically about roaming in Spain (and I guess elsewhere too). Hello there fellow travelers. Just to give my 2cents here, I recently traveled to Portugal (Feb 16) and I flew with TAP. The inflight magazine had,as one of many offers, an only Data SIM card from MEO. €15 for 15gb during 15days. Easy to remember. And I from what I can tell and remember from previous times there, prices went down amazingly. I had it with me when I got of the plane already but I assume it’s easy to find anywhere else. OPO doesn’t have MEO store unfortunately. While inflight I inserted card on my iPhone and as soon as I landed and turned it on I had 4g conectivity. Easy, effortless and speed is very good. For those visiting more than one country there was also another offer from another company I don’t remember the name, that gives us internet connection no matter where you are. But of course is more expensive. Although It relieves us the bother of checking for data plans in every country we go to. But I remember doing the math and it was very expensive compared to any offer you can get locally. What I don’t know is if it’s worth, comparing that product vs local SIM card plus roaming fees. With many different data only options for voice calling (facebook, bbm, skype etc.) a data only plan could be feasible and it saves you 7.50 euros on the sim card. And obviously the more data the better. If you feel the need to have calling and texting as an option, you can buy the sim for 10 euros and have that fee becomes available as credit for calling and texting. You would then need to add the data plan on top. Again, the more data the better but too much is overkill as you can’t get a refund. I would suggest to start with the 10 euro 1gb data plan and if needed find a vodafone store, they are pretty easy to find in Lisbon (head to the big shopping mall and there are 2 or 3 in there alone), and add some more data. Thats what my plans are for this summer anyways. Thanks for your efforts so we all benefit from your postings. I am planning to spend about 45 days in Northern Spain and Portugal this coming Spet. (2016). I am not sure how up to date your postings are since technologies changes so fast. I am from Canada and using iPhone 5 and 5S (my wife’s), any suggestion how we should go about getting text, some data and international voice at the least expensive way. Any suggestion would be appreciated. In Spain, I’d check out both Orange and Vodafone (run their sites through Google Translate if necessary), and see what the right mix is for you. Base packages are pretty similar, but depending on what you need in the way of international text and calls, that might swing you one way or the other. In Portugal, it’s between Vodafone and MEO. It’s easier to get set up with Vodafone, since there are kiosks in (at least) the Lisbon and Porto airports, but at the moment, you’ll get a slightly better deal on data with MEO, and somewhat better coverage. You’ll be happy with either of the options in either country, however, and base prices will be similar. You can also roam between Spain and Portugal with some, if not all, of the companies listed, for 1-3 euros a day. If you’re spending most of your time in one country and only a few days in the other, that might also be an option. Thanks for the super helpful post! I will be in Portugal/Europe starting Sept. 2 until around mid January spending a semester abroad. Would the data plan you spoke of work outside Portugal? I would only be interesting in the data package. If so do you know if there is a more affordable package for more long term as opposed to month by month? Thanks! All of the cell providers in Portugal will let you roam elsewhere in the EU, usually at a cost of 1 or 2 euros per day for a certain amount of data. That’s fine for shorter trips, or if you’re going to several countries in quick succession, but otherwise you may as well buy a local SIM wherever you are. If you’ll be doing a lot of roaming, check the exact details with all the main providers (MEO, NOS, Vodafone) to see which is best for your needs. I can’t imagine there’s a substantially cheaper package for 4 months vs just going month-by-month with any of them, but you can always ask. I am arriving in Lisbon (from Australia) next Saturday and touring around Portugal for just over 3 weeks. I want a SIM card for texting and making calls within the country but also to text home. But I also want some download for looking up info and maps etc. I have an iPhone 5. Will the Vodafone sim work for me? Will replacing my current sim mean I lose all the info on my phone? Yes, as long as your phone is unlocked, the Vodafone SIM will work for you. If you’re not sure whether it’s unlocked (especially if you bought your phone at a discount from your mobile company in Australia), it’s best to get in touch with them to check that out. Most will unlock phones that are off-contract without a problem. Your apps etc won’t be affected by changing SIMs. Your contacts should be saved on the phone rather than your Australian SIM, so they shouldn’t be affected either. I’m flying into Seville in 2 weeks via Lisbon (originating from Boston) on TAP. I have a 70 minute layover between flights in Lisbon, and will likely be picked up within an hour of landing in Seville by a shuttle to go to a retreat center an hour south in the countryside. I would like to get a SIM card so I can call my family back home in the states, if needed (my father in terminally ill), but don’t think I’ll be able to get one on the ground in Spain. Would it be a good idea (or a financially bad idea) to get the SIM in Lisbon for my trip during my layover? I can’t find anything online telling me there’s a vodafone or other SIM card retailer within the Seville airport (if you know, please inform me! ), so this may be my chance. I was recommended to get the “Welcome to Spain” SIM from vodafone on amazon, but I can’t justify paying $44 in express shipping to ensure I get it before my trip. I’ve been looking on eBay, but am unsure of reliability. Please help me, if possible. I’m not aware of any SIM stores at Seville airport, so if you can’t get definite confirmation of that, you’ll need a different approach. Vodafone Portugal has a basic cheap roaming plan across the EU – 90c per day for “a daily 10-minute package for outgoing calls, 10 minutes for incoming calls, 10 SMS and 50 MB to access the Internet on your phone.” That’s on top of whatever the SIM and local call/text/data package costs, and there’s no mention of international call costs, so you’d need to ask about that (or use Skype etc). Failing that, I suspect your other options are to ask the retreat to sort out a SIM for you, get a local SIM shipped to the retreat, or find an international SIM company that can get a SIM to you in time and has cheap calling rates to the US, and use it sparingly! We’ll visit several places, starting from Lisbon, afterwards Nazare, Porto, Syntra, car already rented, as well as apartments booked. All we need, during the trip, is to make several calls to property holders and get internet for GPS use only. Tell me please, what kind of SIM we need to buy in such case, if 3GB package will cover our needs? Yes, 3GB will be more than enough for those needs. Does the Vodafone sim allow using a personal hotspot from my phone? I’m not sure, sorry – you’ll need to confirm with the salesperson before purchasing if that’s something you require. Traveling to Porto for 10 days – we will have an iphone 4S and 5S. i expect some call to US while we are there, but also in country call, and lots of map/translate/uber/internet usage. I’ll be using thethe 5s at work location for 5 days 4s will be used extensivly around porto by wife to get around..
plan to take your advice and purchase SIMs upon landing at OPO. Any specifc advice or reccomendations for that scenario? Nope, nothing special about this scenario. Ask what the best deal is when you’re purchasing — you may find a cheaper option if you only need it for a week, for instance. In any case, you shouldn’t need to pay more than 20 euros for a SIM and call/data package regardless. I’m traveling to Lisbon in May with friends and will take a train/bus to Santiago (& return to Lisbon). I have an Android one plus phone from China which uses T-mobile, but not really supported by them. We’d like to have coverage just for train and bus reservations while in Lisbon and Santiago. From these posts it seems an MEO via vodaphobe is the best option. Our flight arrives at 5:55 am so airport acquisition is probably out of the question. I was hoping to have phone service (texts/E-mail) available before landing. Guess I’ll see if senior citizens can muster sympathy from the local community. Hope you can help me. It seems I can’t find this information anywhere. My family will visit Portugal and I recommended them to take the Vodafone Up Total package. In addition to few local phone calls and mobile internet, they will most likely need to make calls to Canada quite few times for short amount of times. What is the price for calls to Canada from Portugal on that package ? And how does it work to put additional money in your Vodafone account once you activated the Vodafone Up Total package ? Thank you so much of you can help. Your website is a great source of information, and very useful, keep it up ! This page suggests your family will pay 1.65 euros/min to call Canada (and several other countries). That’s expensive, so I’d strongly suggest using Skype Calling or Google Hangouts to reduce the cost to a fraction of that. Google Hangouts, in fact, should make calls to US and Canadian numbers free. We wrote about setting that up here — it’s a couple of years old, so some of the screens may have changed, but the basic approach remains the same. Adding extra credit can be done at time of purchase, or at any time afterwards from a Vodafone store or Payshop location in Portugal. I’ll be heading over to Portugal in a few days, landing in Lisbon and staying for about 10 days. I think I use a decent amount of data/ day (social media, iMessage, apple music, GPS), what would be the best option? And also, does MEO have a location at Lisbon Airport? i feel like that might have the best rate, but I would need the sim card before going to pick up the rental car, and would be using the data for GPS also throughout the 10 days. MEO’s coverage is a little better and deals are similar, and sometimes better, than Vodafone. The reason I still recommend Vodafone for visitors is because as you’ve found, MEO doesn’t have stores at the airport, so it’s much easier to get set up with Vodafone as soon as you arrive. If you need to get a SIM before leaving the airport, that’s who you should go with. Staff will be able to advise on the best current data package for your needs. We love all your posts. They have helped so much in planning our move to Portugal. What company and plan would you recommend for someone planning to stay? Thanks for all your posts-they are so appreciated. Thanks Elizabeth. I used MEO for a few months, and was happy with the service etc. The SIM was free when I got it. I topped up 15 euros each month, on a Flex 96 plan — I bought a 2GB data package for 13 euros, then just paid standard rate for the few calls and texts I made. If I headed elsewhere in the EU, I added a bit more credit, and used the 0.99/day light roaming plan. It all worked well. I am traveling to Lisbon for 4 days then heading Sevilla for another 4 days. Is there a plan/provider that is a good option for the duration of my trip? Plan to use it for maps, uber, web browsing and very light social media. For that relatively short period of time, it won’t make a great deal of difference which provider you choose. Since Vodafone has a kiosk in Lisbon airport, has reasonable weekly packages, and inexpensive roaming to Spain (and elsewhere in the EU), that would be my pick. Does this sound like a good plan and can you recommend a SIM card for a modest amount of texts and calls that I can pick up in Faro of in Uk before I leave ? Since Portugal Internet is a data rental service, you’ll be paying a lot to use it for five months. Personally I’d just get a normal (ie, calls, texts and data) prepaid SIM from MEO when you arrive in Faro, with the largest data package they sell, and put it in your phone. Tether your laptop to your phone to use that data for conference calls as needed, if you don’t have good Wi-fi access, and just use your phone normally otherwise. You’ll need to buy the SIM in Portugal. This is what I ve found … do you know any better options for a 5 month period ? Does anyone have experience of Portugal internet ? I don’t have any more information for you, really – you’ll need to find out about Wifi speeds and availability as mentioned above, then make your decision from there. Good luck! SIM cards that I see when I search on line offer only what seems like not enough data for conference calls which use I think the same amount as streaming movies … is that correct ? and I felt that I d need unlimited data in order to make as much as 6 hrs of conference calls each week … or ? Do you know if MEO do a card with unlimited data or do you know how much I d need for this amount of zoom calls weekly ? Well, they charge 1 euro a day after the first month. The starting price is 5-6 euros/day. In other words, you’ll pay 80+ euros for the first month, and 30 euros/month after that. With any provider, you need to check what unlimited actually means — often, speeds are throttled after a certain number of gigabytes per day/week/month, which would typically make it too slow for conference calls. Portugal Internet say that in its case, unlimited does mean unlimited at full speed, which is a positive aspect. As for how much data a conference call uses — if it’s video-based, yes, it will use a similar amount to streaming movies. If it’s audio-only, it’ll be a fraction of that. I haven’t used Zoom, so can’t comment on its data usage specifically. The question you probably need to answer is whether you’ll have fast-enough Wifi available in your accommodation or wherever you plan to work in Faro. If so, you’ll likely use that for your conference calls, and the cell data doesn’t matter anywhere near as much. If not, then you need to find a truly unlimited, high-speed cell data plan that can accommodate your requirements. If you’re happy with the costs of Portugal Internet, go for it. Just bear in mind that in addition to the costs above, you’ll either need to use Skype/WhatsApp/etc for calls and texts, or get a SIM card for your phone and pay for a voice/text plan as well. Your site is a godsend. For the record when I do a search on this subject I always find international companies agreeing to provide SIM cards mailed to me or for pick up. I am reluctant to transact on internet but am tempted; especially for China where the package includes VPN, very essential there. Impossible to get the VPN locally in China and their package is complex. Turning to Portugal. Will be visiting Lisbon and staying there for one month from mid-May.. Would like to have a data card with 4/5 GB capacity so because the better connectivity MEO should be the way to go. Unfortunately their site is in Portuguese so cannot find their outlets. No big issue. I also need to make long distance calls to Singapore. Using an unlocked iphone 5s and an unlocked ipad. Should I buy a data card and a separate SIM card for long distance calls? There are MEO outlets all over Lisbon, including all the shopping malls, so you won’t have a problem finding one. Just put ‘meo’ into Google Maps when you get there, and you’ll see a bunch of different stores. I wouldn’t get two SIM cards. Just buy a standard SIM with calls, texts and data, then buy whatever package best suits your requirements (or go on the Flex96 plan, then add enough credit for a separate data package plus a few euros for calls and texts). For long distance calls, I pretty much always use Skype these days — call quality is fine if your 3G/LTE speed is high enough, and per minute rates are typically quite a bit cheaper than paying whatever the mobile phone company wants to charge you. Thank you Dave for all your help. We have Verizon and they said a 3G Sim card would work. I hope we find the right one when we go to Portugal tomorrow. I gave up on worrying about internet in Portugal. I have a Three Network SIM card from the UK which has “Feel at Home”, allowing me to use my UK call, SMS and data allowance in several countries around the world (including Portugal). While this is convenient, it doesn’t allow tethering, and it only gives me 3G (I’ve never seen it connect to a 4G network). I am astonished that mobile data within the EU is so horrendously expensive and complicated, and (to put it bluntly) so antiquated. I say this as someone who spends a considerable amount of time each year visiting the Russian Federation, where for 300 rubles (about €4.70) I get super fast unlimited 4G+ for 30 days. If you want to see how fast 4G+ is, so a search on YouTube for “4G+ Moscow”. I manage to download large files from my corporate servers at 9MB/s (that’s 9 megabytes per sec, not 9 megabits per sec). EU data plans/data SIM offerings are a complete joke. Way overpriced, way too slow. Perhaps you’ll know better than I. It’s been some time since I moved to Canada from Lisbon, and it’s the first time I’m going home in almost 10 years. I’m going to need a sim card for my unlocked iPhone once I arrive in Lisbon. Will be there for 30 days, but require everything: call, text (as I know as soon as I land, I’ll be bombarded with family and friends trying to connect and get together and keep in touch while home) and data (mostly for gps and emailing). But I’m worried a small MB or GB rate won’t be enough. (I’m a realtor, and looking to stay connected to my clients while I’m away through email in order to avoid international calling rates. On my plan here, I easily go through about 5GB a month in data). I used to be on a post-paid plan, which provided me with everything I need, however seeing as I’ll only be there for 30 days, I won’t be able to reconnect my previous plan from home. However, it seems the only pre-paid options available through TMN (now MEO) and Vodafone, either provide all three in a package but require monthly top-ups, or only provide either phone and sms, or data, without the obligation of monthly top-up. Any thoughts for the amount of time going, and having the ability of utilizing everything? Your Portuguese is undoubtedly better than mine, but take a look at this MEO page — https://www.meo.pt/telemovel/tarifarios/pre-pagos/top. From what I gather, the ‘Top Total’ plan gives you 500 local minutes/texts, plus 3GB of data, for the month. If that’s not enough data, you can also add 10GB for particular types of use (music, video, cloud, etc), and I think you can also add extra general data as well (https://www.meo.pt/internet/internet-movel/telemovel/pre-pagos). Hi Dave, just wondering what you would recommend for our trip to Portugal. We have an unlocked iphone, a locked phone and an ipad wi-fi only. We will be in Portugal for 45 days and will need data mainly for emails, gps, facebook and we like to unwind and watch some tv or youtube videos at the end of the day. Would you recommend a sim card? We were thinking of renting the mobile WIFI but not too sure who to go with and we were hoping to finding something with unlimited data so that we could watch our videos without having to worry. Any suggestions? There are few options if you want unlimited Internet. The only major player offering it is NOS, where it’ll cost about a euro per day. They can limit speeds if they think you’re over-using the service, although there’s no info I’ve found about what ‘overuse’ looks like in practice. Portugal Internet is a Mifi rental service with unlimited data, but it’s pretty expensive for longer-term use. If you don’t really need unlimited data, then a large data package with any of the major companies will be fine, and you can go with the recommendations and comments on this article. You can use your iPhone as a hotspot for your other devices, but be aware it quickly drains the battery if you’re doing it a lot. If that’s likely to be an issue, perhaps look at renting or buying a Mifi instead, if it’s not too expensive. It’s really dependent on how you plan to use your devices. 1. Does the plan already included a SIM card so I don’t need to purchase separately? 2. if the data plan only sim card will work on a smart phone (i.e. Google Nexus, Blackberry and iPhone 6). 2. Do I still need to get a SIM card separately if I am getting the Connected Holidays plan? 3. Should I order online and mail to where we will be staying or it’s easy to get it later when we are in town. Coz some websites said I need to pay extra for a SIM card or order it online for free. I am hoping you can provide some insights as I have been researching for a while and still not quite sure. Looking forward for your reply! Thanks in advance! 1. This page suggests the SIM card is included, which makes sense for tourist plans like this. 2. That page markets the data SIM at tablet owners. Typically it will also work in a smartphone, but I’ve had problems (in the US, not Portugal) with staff refusing to sell/activate data SIMs if you’ll be using it in a smartphone. I’m in Lisbon at the moment, so if I get a chance I’ll swing by one of the places you can buy it (see below) and ask for you. I’ll update this comment if there’s anything to add. 3. You don’t need to order online, but that ‘Connected Holidays’ package isn’t available in all stores. Details are on that page — of the MEO stores, the Chiado location is the most central, but it’s also easy to find FNAC stores in any shopping mall. I haven’t had a chance to go into the FNAC or MEO store yet — but based on Lynne’s comment yesterday, it looks like those data SIMs work in phones just fine. There are no other 15 euro / 15 day / 30GB Vodafone plans that I’m aware of, so it’s likely to be the Connected Holidays package that she’s using. Thank you so much Dave!! This is really helpful! Dave – we arrived in Lisbon last week and purchased 3 data SIM cards from Vodafone (15 Euros for 15 Days with 30 GB) – quick and easy BUT decided to visit Spain and the minute we crossed the border we were unable to access data. Our phones picked up Vodafone ES and showed either a 3G or 4G connnection but we were unable to use them – we had data roaming turned on … any magic button or number to call? I don’t know whether that data package is meant to be enabled for international roaming or not, so you’ll need to pop into a Vodafone store (or contact customer service via one of the ways listed on the website) to see what the story is. No magic buttons that I know of, sorry! The information you provide on this site is awesome. A question if I may, I have been living in Colombia for the past 2 1/2years and the internet is pretty much free in every cafe, resturant or public place its great. I am going to Porto in November for 2-3months and I have a Huawei unlocked phone which I purchasd here. I am gong to need a data package for my computer and phone. I will only be using whatsap and the internet on my phone and internet on my computer. What do you sugges in regards to the best provider and $ value for money for my needs during this time ? If you don’t have wi-fi available for your laptop (in your accommodation or elsewhere), perhaps look at the unlimited package from NOS, then tether your laptop to your phone when you need to use the Internet. If you only really need data on your phone, then the suggestions in this post (and the comments) should work for you. Just pick a data package that covers your expected requirements, from whichever company you prefer. My wife and I just came back from a 2 week trip to Europe. We landed in Lisbon and while we were walking inside a mall, went inside a cell store and asked the clerk for a Sim card for my phone. He sold us a MEO Sim card for 20 euros. Since we were in a hurry, I did not ask how much GB’s we were getting. Anyway, he placed the Sim in my phone and we left the store. Moments later I had internet service. I was able to connect just about everywhere we went around Portugal. We also traveled to Spain and Italy and had internet service all the time. The only minor issue was that sometimes I had to reboot the phone to reconnect but that was just a couple of times. The MEO service was great and would definitely use it again next time I visit Europe. Thanks for the trip report! MEO is a good choice, if you’re happy to wait until you get into town, rather than needing/wanting to buy at the airport. It’s the company I use when in Portugal for extended periods. Hi Dave, I have a question. I am traveling over the year a few times to Portugal. Usually between 3 and 14 days each time. I have a very small internet bundle in my own country since I always use wifi hotspots, so my data is empty really soon. The place I am usually staying does not have wifi in the rooms. Your situation is quite specific, so I don’t know which provider will be best off the top of my head. All the major mobile companies (ie, those with physical stores) in Portugal offer Wi-fi hotspots and data-only SIMs, so it’ll come down to finding one which has reasonable pricing, and a long expiry period for the SIM so it won’t be deactivated if you don’t use it regularly. Next time you’re in Portugal, I’d suggest setting aside a bit of time to go to a shopping mall or similar place where all the major mobile companies have a store, explain your situation to the staff in each one, and let them suggest the best prepaid option for you. After that, all going well, you shouldn’t have to go back into a phone store again — just top up the SIM/hotspot online or by phone before, or when, you arrive back in Portugal each time. MEO and Vodafone both have data-only packages that offer (at least) 15GB of data for 15 euros, but only last 15 days. If you need longer, you can extend the duration with Vodafone by paying 5 euros for each additional 5 days of validity, up to 90 days for 100 euros. More details here (in Portuguese). I have a TP Link Sim Router in my house in Portugal. I’d like to identify a 4g network that allows me to buy 15/30 days but then my sim is still valid when I return 3/4 months later. It’s a lot of trouble to go to the shop to get another as they are always so busy. I find typical validity is about 60 days. Can you tell me which one has the best policy. I have kept a 10 hours for 10 euro card valid for years but these are poor value, however the terms included 180 sim card validity. Does any network offer a reasonable lifetime on their SIM? Thanks! I don’t know of any provider that has acceptable data rates on a long-life SIM, I’m afraid. If it was me and I didn’t want to have to keep buying new SIMs every time I came back, I’d probably just top up once every 60 days whether I was in the country or not. You can do it online if you’ve got a Portuguese bank account, and maybe other ways as well — you’ll need to ask about that specifically with whichever provider you choose. Since you can then choose a better-value package than your 10 hours/10 euro one, you may find it offsets the extra cost of having to top up every couple of months anyway. No, I’m pretty sure that what will happen is that whenever you top up, it’ll reactivate whatever package you’re on — but it’s ok for you to not have an active package the rest of the time, as long as you’re still topping up every 60 days. So, let’s say you buy a SIM with a monthly data package. A month later that package will expire, but the SIM will remain active for another month. If you top it up again within that time, the monthly package will reactivate, and it’ll reset the counter for another 60 days. You may even find that if you top up with less than the cost of your package (say you’re on a 20 euro a month package, but only top up with 10 euros) that it resets the counter, but your credit doesn’t get used up, because it’s not enough to reactivate the package. Double-check that with whichever provider you choose, but that could be a way of not spending any more money than you have to! Just wanted to report about our experience. I had a terrible time with a Vodaphone card purchased in Barcelona a while back. Connection in Andalucia was poor, telephone calls were poor and all communication with Vodaphone was in Spanish. Not helpful. Also my card seemed to have used up the phone calls and data access ahead of time. I was a bit sceptical when I arrived in Lisbon. Given my experience with Vodaphone I decided defintely to go with Meo. This goes back about 6 months. I think I paid 30 Euro for my MEO card which gave me 3GB of data and I forget how many free phone calls overseas and locally. Not long after signing up I received a free bonus of data and basically in my 30 day stay I did not run out of data and the ability to make long distance phone calls. The one shortcoming of MEO is that they have so many different packages and the individual I dealt with did not speak English. Being a main store I did not feel like queuing up again but he certainly gave me a most excellent package. Dave, I do have a technical question for you. I use 4G connection in Singapore, Lisbon and Vancouver. 1GB,in Singapore and 1GB in L isbon seems to last much longer than 1GB in Vancouver? Is this possible; there was a noticeable difference and for me that must be a big difference. Yep, MEO is a good choice (strong coverage and typically pretty competitive rates) if you’re happy to wait until you get into the city to purchase, rather than buying at the major airports on arrival. I can think of a few things that might account for the differences you’re seeing, but there’s no one obvious answer. It could be that usage is measured differently with the provider you use in Vancouver (like I mention here with Vodafone in Portugal, for instance). It could be that you’re on a Wi-fi connection more often in some cities than others, either because free/public connections are more available, or just due to the nature of what you’re doing and where you are in those cities. It could possibly be the bands your phone supports — you may be getting an LTE connection in Vancouver (which is much faster, hence you tend to burn through data more quickly), but not in the other cities. Finally, it could just be certain apps that you use in Vancouver that you don’t use elsewhere. Hi Dave, is this meo can used in spain? i will be stay for 5 days in portugal and 10 days in spain. I dont want to change the sim card. do you have any suggestion? Thank you Dave. Yes, MEO, Vodafone and other Portuguese SIMs can be used in Spain (and across the EU) at no extra charge. The best answer would have been the Vodafone Go package I mention in the article, but unfortunately roaming is disabled with that SIM. So, instead, maybe look at picking up a Vodafone Up call/text/data package that gives calls and texts, 3GB of normal data, and 20GB of messaging data (Facetime and Whatsapp at least), for 21 euros. You could also get a SIM and data package from MEO — you’d go on the Flex plan, then add a data pack. The largest pack it sells is 5GB of data for 15 euros. The only issue you’ll face is that either package only lasts for a month, so you’ll need to either put some extra credit on the SIM at time of purchase so it can automatically renew for your last few days, or buy another SIM in whatever country you’re in at the time. Hi Dave thanks for that info.. so if I buy the Meo plan, will I be able to recharge with credits in a different country? My last destination will be Italy, Rome.. I don’t mind recharging the SIM with credits as long as I’m able to pick up a recharge voucher/card from stores around Europe or do U recommend sticking with Vodaphone, as it’s quite a well known telco around the world and easier to get credits? I am aware that I may use up all my data halfway through my holidays especially with my 10 yo boy.. so I’m more worried abt not being able to recharge the SIM with more data if needed. Thanks. Typically you can’t top up from elsewhere without having a Portuguese bank account, and doing it via online banking. That said, another commenter mentioned this service recently — I have absolutely no experience using it, but it does list Portugal as a supported country, for whatever that’s worth. I will be doing the Camino Portuguese in May of 2018, with a couple friends. We will start i Lisbon and travel into Spain to Santiago de Compostela. We will spend 22 days in Portugal and 11 days in Spain. We would like to get a data SIM for our mini iPad and a sim for each og our phones….. we would like to use Skype in the iPad to make calls back home to Australia. What is your recommendation? I walked the Camino Portuguese about a year ago, and used a MEO SIM and call/text/data package in Portugal, then bought a similar Orange package when I crossed the border into Spain (in Tui). That was before free EU roaming came in, though, so now you’d be able to just use your Portuguese SIM the whole way to Santiago. You’ll get better coverage in small villages and countryside in Portugal with MEO, so that’d be my recommendation. All the major shopping malls in Lisbon have a MEO outlet, including in downtown areas, so you shouldn’t have any trouble finding one. Prices and package details will have changed by next May, but regardless, you won’t need to spend more than 20 euros for something that should cover your needs — Wi-fi is also reasonably common in albergues, bars, etc along the Camino route, so you can save your data in the evenings etc. You don’t need to buy a data-only SIM (although you can if you want to, of course) — a standard SIM with data, calls, and texts will work fine as well, if pricing happens to be better — oddly, it can be. The only thing to bear in mind is that the data packages only last 30 days, so you may need to add extra credit when you buy the SIM so it can automatically top up when it runs out — it’ll be harder to add credit once you’re in Spain. im going to Algarve for 3 weeks on Sunday and will need internet but the hotel i hear is poor for wifi , whats my best option to get about 20GB of data for my mobile wifi unit ? The Vodafone Go package I mention in the ‘Costs’ section of the article is your best bet. Thanks so much for this. Really helpful. I’ve read through all the questions and comments and have not found one quite like this… We are planning to bike down the coast from Porto to Faro so have been trying to figure out whether MEO or Vodaphone would provide better coverage. It seems that one is better some places, the other in others. Do you have any idea which is better? And do you have any idea how much of the coast is not covered by any carrier? We are planning to use a phone for maps so coverage is quite important! In my experience, MEO has a little better coverage outside the towns and cities (there’s little difference in populated areas), so that’s who I’d probably go with. Check out the coverage maps for both providers if you haven’t already, though, both on their own sites, and via third parties like sensorly.com. Regardless of which one you choose, however, I’d highly recommend also downloading map data ahead of time for the areas you plan to travel to. That way you’ll be covered for areas of poor signal, and can still get driving (although not cycle-specific) directions even when you have no service. I covered how to do it for Google Maps here (you’ll need to download it in sections), and you could also download the HERE Wego app (review here) which lets you grab offline maps for the entire country with a couple of taps. Hi Dave thanks for the detailed tips! I’m travelling to Lisbon & Porto on coming May. I’m thinking to buy the Vodafone Go 15euros for 15days. Just want to reconfirm the data allowance we got is 15Gb? Coz on English page it’s not stated how much datas we’re getting for that. Yes, it’s a bit confusing. The details page linked to from there shows a 30GB data allowance on the Go plans, but that may still only be for renewals, not the initial purchase. If you’re unsure, just double-check with the person at the Vodafone store before you purchase. Hi Dave! Great info. I was wondering (sorry if it has been answered already) if the phone requires to be unlocked in order to use these sim cards? Yep, you’ll need an unlocked phone for any local SIM card. 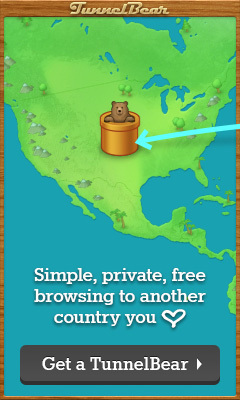 I’m 99% certain it does — pretty sure I made Skype calls using it when I was there. Double-check at time of purchase, though, if it’s something you really need. Note that Vodafone’s data-only SIMs (ie, the Go packages) don’t include international roaming for free, so you’ll need to pay to use data in Galicia, or pick up a Spanish SIM. Given that, it might be worth looking at the other SIM options, just in case they start making more sense when you include your time in Spain as well. I am looking at a couple of ways to stay in touch with home (Canada) while walking the Camino Portuguese. Firstly, I thought I’d buy a SIM card and a plan. I would like to buy the SIM at the airport, so it seems Vodafone is the way to go. I am looking at the Vodafone plan for travellers for 30 days costing 20 Euro. The plan includes 30 minutes international calling for the month and it appears I can add more international minutes, but I can’t find the cost to do so on their site. When I tried to send a query through their website, I was required to give them a Vodafone cell phone number, which I don’t have. Do you know the cost of adding more international minutes? Secondly, I thought I could use an old flip phone (non-Android) to call Canada. Is it still possible to buy a SIM and top up cards for a flip phone? We purchased the phone from an Orange store in Spain in 2010 and used it again 2015 with an Orange SIM. Would a SIM in this type of phone have the same European roaming advantages as an android phone…work in both Portugal and Spain? Do you think the phone would likely be locked by Orange? I suspect there isn’t another international calling package option available to buy — once you’ve used up the allowance, you’re on per-minute rates. Instead, I’d use Google Voice (details here, which has free calls to Canadian numbers anywhere you have decent cell data or Wi-fi speeds). If you went with an old flip phone instead, it’s unlikely to be locked to Orange (that’s not super common in Europe), but obviously I can’t say for sure. It would have the same EU roaming advantages as other phones. I have a iphone locked by vodafone and if I go to Portugal can I use a SIM card Vodafone Portuguese or I need to have a iPhone unlocked? I’d imagine you’ll need to get it unlocked to use any other SIM, including from Vodafone in a different country, but feel free to check with your local Vodafone to confirm. You don’t say where you’re from, but if you’re from within the EU, don’t forget that you’ve almost certainly got free roaming to other EU countries anyway. Great site and information. Wife and I are going to cycle from Lisbon to Faro and from reading your info + Q&A over the last few years it seems we can either buy it on the plane [ we are flying TAP ] or go to the Vodaphone in the lisbon airport. Do you know if TAP still offers the MEO as it sounds like from your advice MEO has the better remote coverage. I know one of the commenters on this article mentioned it back in 2016, but I’ve never seen a SIM card (MEO or otherwise) being offered on a TAP flight, although it’s been a while since I flew with them. I don’t see any mention of it on the TAP or MEO sites either, so I wouldn’t count on it being the case. It doesn’t matter all that much though — Vodafone coverage is still pretty good, and you’ll have no problem getting one of their SIMs. If you’re going to spend any time in Lisbon before you start riding, you could also just find a MEO store (central city and/or shopping malls are your best bet) before you leave. Thanks Dave – I just wanted to let you know and other readers that TAP does offer Vodafone and MEO on the flight. It is in the back of the airline magazine. They only carry a few per cart so you have to ask them as soon as you see them. I bought 2, one for me and one for the wife. The Vodafone sims were 2gb and 19.99 euro, a little pricy, BUT we needed to have them when we got off due to the logistics of the trip. I used the service to the max while out on the road and it worked like a champ. I was in some remote-ish areas and never an issue. Totally worth it in my opinion to spend a few extra bucks and when the plane landed we were all set up. Awesome, thanks for the update Steve! It would be great if you could update this article with information about topping up a SIM card online from outside Portugal. Vodafone Portugal did not let me top up online, and an outside company that took my money to recharge my SIM also failed to do it. I was also unable to find any accounting in the My Vodafone online site telling me where my 39 euros of credit had vanished to, so my phone went offline in Spain and I had no choice but to buy a Spanish SIM card since the Portuguese one had rendered itself unusable. I am avoiding Vodafone now and in the future because of this experience. That’s frustrating, but sadly it’s not particularly uncommon. Many providers around the world won’t let you top up on their website using an international debit/credit card because of fraud concerns, and since eg. Spanish stores don’t sell top-up vouchers for Portuguese phone companies, you can’t do it that way either. It’s unfortunately not a Vodafone or Portugal-specific issue. If you think you’ll need to top up, either because you’ll use up your calls/texts/data, or because you’ll be using the SIM for longer than the initial package lasts (usually a month), all you can really do is add enough extra credit to cover your expected requirements via a physical voucher etc at time of purchase, or at least before leaving the country you bought the SIM card in.